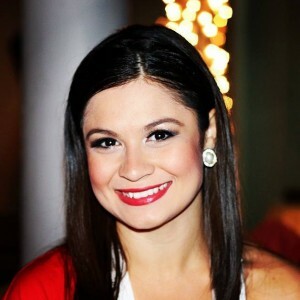 Performer, teacher and choreographer, Andressa started dancing Latin Dances and Ballroom in 2006. She got specialized in Zouk and Brazilian Ballroom Dances due to her years as part of Renata Peçanha’s Dance Company in Brazil. Jazz, Classic and Contemporary Ballet, are other dance styles that she studied for long years increasing her techniques and has taken part of the Dance Company – Prima Facie, where made shows of Jazz and Contemporary Dance. Worked as a ballet dancer under a contract for Walt Disney World Brazil making Disney Parades in different states within Brazil. Champion of the XV Dance Festival in Nova Iguaçu – 1º place with a Zouk choreography and 2nd place with a Samba de Gafieira choreography, besides that, won a special prize as the Best one in the Category Popular Dance Group, also, Champion of the IX Dance Festival in Rio das Ostras – 2º place with a Tango choreography. Owner of the Rio Zouk Style Dance Academy, Andressa has become a very respected teacher and performer and has been developing Brazilian Zouk and Samba de Gafieira all around the world, teaching and performing in Congresses, Festivals and Workshops, in countries like: Russia, Germany, Czech Republic, Spain, Finland, United Arab Emirates, Oman, Austria, Switzerland, Holland, Denmark, Brazil, France, Poland, Croatia and much more.